A tool for in-browser design and general front end development. 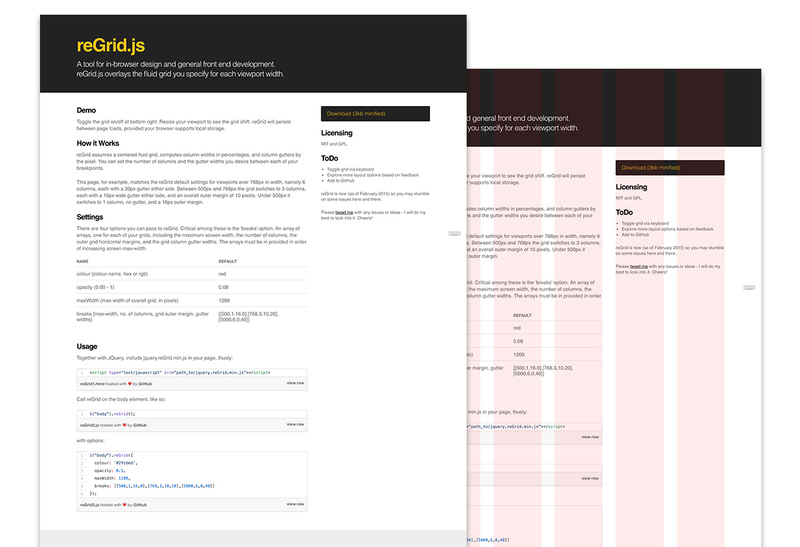 A hand open source tool to assist with front end web development, reGrid.js provides a grid overlay in the browser, with a different grid configuration for each of your breakpoints. Toggle the grid on/off at bottom right of this page. Resize your browser to see the grid shift at each breakpoint. For more information and download please visit the project page.